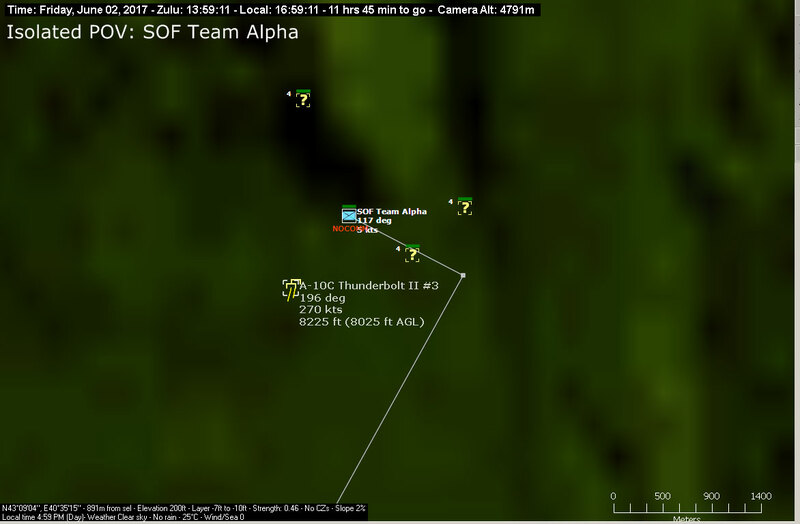 And I bet you wanted to know what happened to the men of SOF Team Alpha, as reported in my previous post. 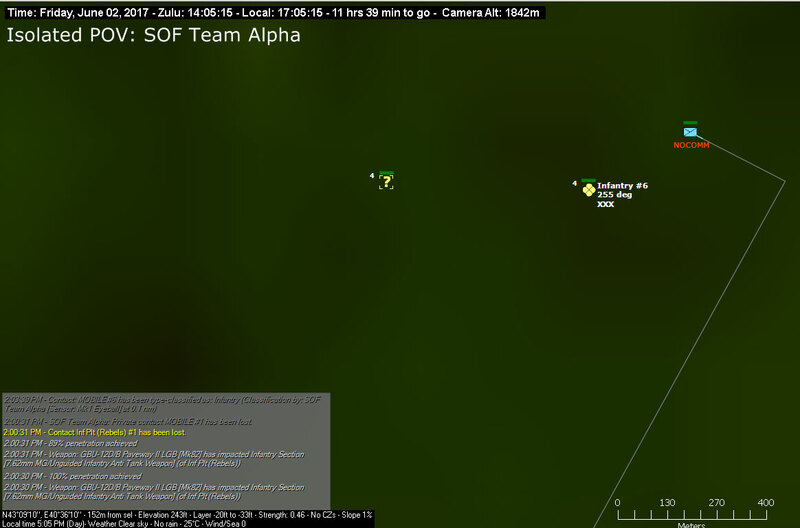 Team Alpha is out of comms, unable to relay new targets to the A-10Cs. This is the tactical picture as seen by SOF Team Alpha. 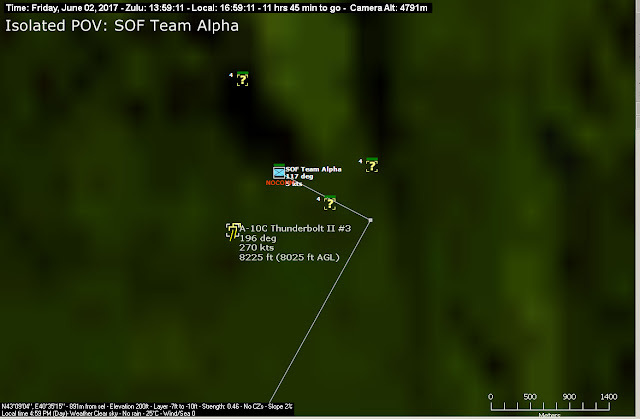 They can see the A-10Cs marauding around, but they also see some other close dismounted contacts. 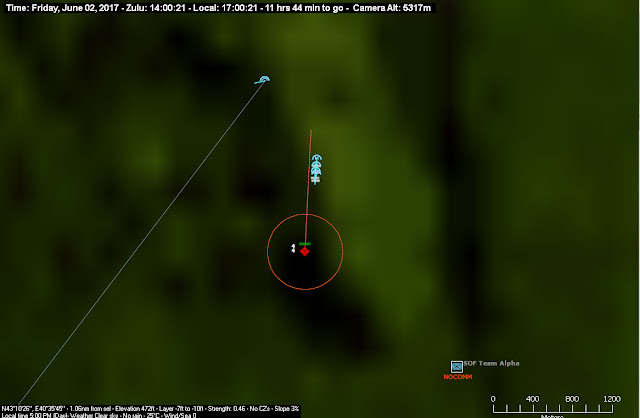 The A-10Cs can only see the target they acquired and boy they unleashed a shower of GBU-12s at them. Team Alpha was lucky this time. The unknown (they are Abkhazians, I put them there) infantry contacts have moved west without noticing our men. And so the story ends. Not too much of a story as you can see, but an exploration to this fantastic new feature of comms disruption in CMANO. This simulation keeps getting better and better. I was pleased to see how the infantry units didn't come into combat, even after being just a couple of hundreds meters apart. The simulated terrain is not modelled as a billiard table, which is great. Just take a look at the region where this action took place and you will see how difficult is to see other squad in such terrain.